Sleep Myths. Legit or not? Hushabye Baby. Amy Huebner. Sleep Myths. True story or not? I can clearly remember, like most mothers I’m sure, the very moment I gave birth to my first child. It was a mix of emotions – exhaustion, excitement, and anxiety. I was truly marveled by the fact that a little person was now here in my arms. About ten to fifteen seconds later…I was equally buried in advice, suggestions, and information (which no doubt included a bunch of sleep myths but to be honest, I can’t remember it all!). This was all thrown at me with the best intentions, but it was overwhelming nonetheless. I can’t imagine the number of times I heard the words, “You should,” “You’ll want to,” and “You’ve got to.” It was a lot! There’s no such thing as a casual Mum. This gig is full-time, no matter if you’re a stay-at-home-mum, a working mum, or somewhere in between. Your kids are on your mind 24/7, no matter what else might be going on, so we tend to do a lot of research, and with access to unlimited data via the internet, endless books, or your mother-in-law, (the latter having the most to say, by a mile no doubt) it’s inevitable that we get some conflicting information. So today, I want to focus on my area of expertise, that being sleep. Let me shed some light on some of the more popular sleep myths I’ve heard around the parenting world. Not likely, except in extreme cases. Unless your little one is sleeping practically all day and up all night, you probably don’t need to concern yourself with the length of their naps. Newborns especially need a ton of sleep. In fact, up until about 6 months, I don’t recommend that your little one be awake for more than about 2 – 2 1/2 hours at a time. For newborns, that number is more like 45 minutes to an hour. What keeps babies awake at night, more than anything else, is overtiredness. You might think that an exhausted baby is more likely to sack out for a full night than one who slept all day, but it’s actually just the opposite. The reason we refer to it as being “overtired” is because baby has missed the “tired” phase and their bodies start to kick back into gear, which keeps them from falling and staying asleep. A baby who has gotten a decent amount of sleep during the day is far less likely to miss the sleep window. 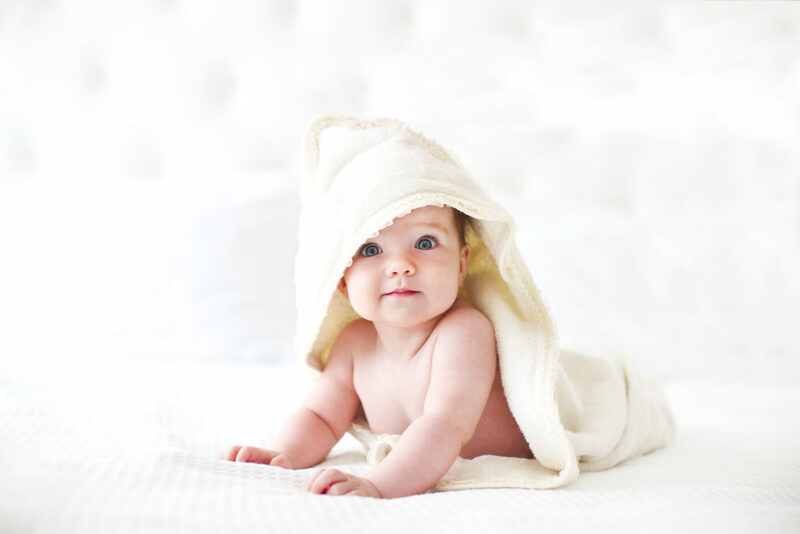 There are substantial variations depending on baby’s age and the length of their naps, but up to that 6 month mark, it’s really not uncommon for baby to be sleeping around 5 hours a day outside of night time sleep. So if your little one is still within those guidelines, let them snooze. The typical “bad sleeper” isn’t less in need of sleep, or more prone to waking up. They’ve just learned to depend on outside assistance to get back to sleep when they wake up. Once your little one has figured out how to get to sleep without assistance from outside sources, they start stringing those sleep cycles together absolutely effortlessly, and that’s the secret to “sleeping through the night” as most parents understand it. The idea that infant physiology is so flawlessly, naturally programmed to regulate a baby’s schedule is, to be blunt, ridiculous. Nothing against Mother Nature, but she doesn’t provide us with a ready-to-run baby like she does with say, the wildebeest. (Seriously? Walking six minutes after birth? Outrunning predators within a day?). Our babies might be cuter, but clearly not as prepared for battle straight out of the womb. Our babies need extensive care and help in their development, and their sleep cycles are unbelievably erratic if left unregulated. If they miss their natural sleep cycle by as little as a half hour, their cortisol production can increase which causes a surge in energy, and things quickly spiral out of control. That’s not to say that you shouldn’t respond to their cues, but you shouldn’t rely exclusively on them either. Nope. This isn’t just me talking here, this is the American Academy of Pediatrics. If there’s a more reliable source of baby health information, they’re astoundingly bad at marketing themselves. According to a 2016 study conducted by eight of their top researchers, behavioral intervention, (A.K.A Sleep training) “provide(s) significant sleep benefits above control, yet convey(s) no adverse stress responses or long-term effects on parent-child attachment or child emotions and behavior.” Not a whole lot of grey area there. Firstly, no one, including adults, sleep through the night. We all wake up naturally multiple times a night. Our goal for babies at a suitable age, is to sleep peacefully through the night. This includes a number of natural wakes up that are a non event. Wake ups that are pretty much forgotten a minute after they happen. Getting these solid nights of sleep are vital for their health and development. Putting aside our religious beliefs for a moment, I think we can all agree that, even if babies were “designed” somehow, whoever did the designing left plenty of room for some upgrades. Trusting your child’s physiology to dictate their sleep schedule, their eating habits, their behaviour, or just about any other aspect of their upbringing is a recipe for disaster. Is your toddler designed to eat three pounds of gummi bears? Surely not. Will they if you don’t intervene. Without a doubt. Is your baby designed to avoid predators? If so, nobody told my little ones, who would have happily hugged a hungry Siberian tiger if it approached them (they might still, I don’t know. It’s never come up). Our little ones need our expertise and authority to guide them through their early years, and probably will for decades after that. This is especially true when it comes to their sleep. Some babies are naturally gifted sleepers, for sure, but don’t rely on the advice of those who tell you that babies should dictate their schedules. You’re in charge because you know best, even if it may not feel like it sometimes. There are plenty more sleep myths and misconceptions surrounding babies and their sleep habits. These ones, however, are the sleep myths I consider the most important to get the facts on. There are endless posts on social media and websites that portray themselves as factual. There is nothing stopping them from making that claim, regardless of their accuracy or basis in actual scientific evidence. These types of post are often the generators of, or contributors to, sleep myths. 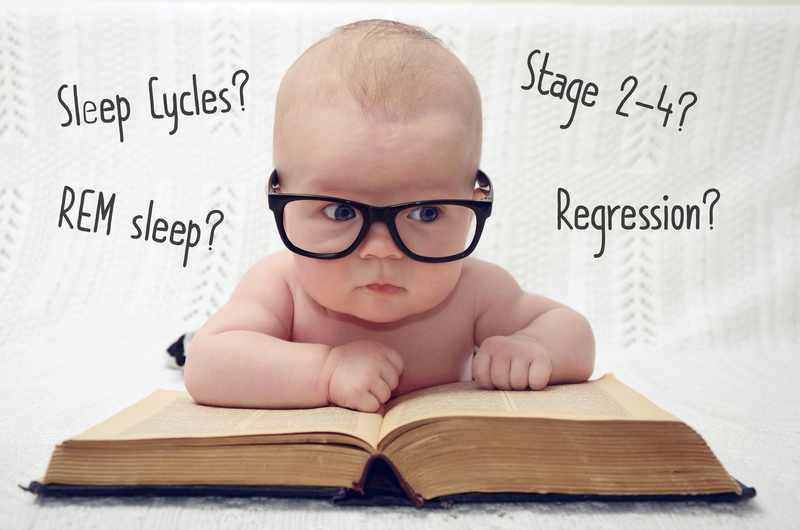 Google Scholar is a great place to find peer-reviewed scientific study on all things baby-related. Other trusted sources include: American Academy of Pediatrics; the National Institutes of Health; Britain’s National Health Service; Canada’s Hospital for Sick Children; the World Health Organisation; and other national children’s health organisations are also excellent sources of information you can feel confident about using to answer questions about your baby’s health. Of course, if you want more information about the benefits of sleep, I’m willing to talk about it to the point of obnoxiousness.